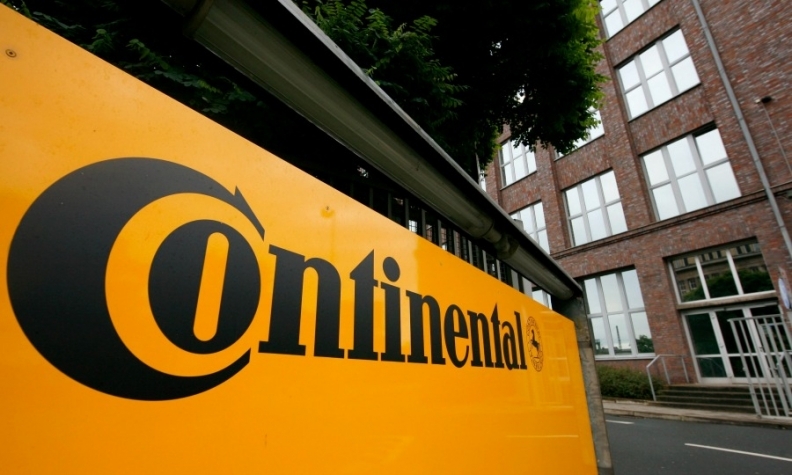 MUNICH (Bloomberg) -- Continental raised its 2015 sales forecast a third time this year after posting higher first-quarter earnings that were helped by positive foreign exchange effects and a low oil price. First-quarter earnings before interest and taxes and adjusted for special effects rose 10 percent to 1.05 billion euros ($1.19 billion), Continental said today in a statement. That matched the figure the company outlined on April 30, when it boosted the 2015 sales forecast. Adjusted earnings before taxes (ebit) amounted to 11.4 percent of revenue in the quarter, matching last year's margin. Continental reiterated a forecast that the figure will "comfortably" exceed 10.5 percent for the full year. "The first quarter showed that we are growing faster than the markets," CEO Elmar Degenhart said in the statement. "Positive effects of foreign exchange are adding to this." Finance chief Wolfgang Schaefer said second-quarter business has got off to a "good start." He cited rebounding auto production in Europe. Positive effects from foreign exchange developments could boost sales by 1 billion euros while favorable rubber and oil prices may add another 150 million euros, Continental said. Revenue will increase to more than 39 billion euros ($44 billion) this year, the supplier said. The company raised the forecast a week ago to about 38.5 billion euros. The euro has fallen by about 6 percent against the dollar this year, helping the German-based company. Stable prices for rubber and lower prices for oil, a raw material to make synthetic rubber, will also help 2015 earnings by about 150 million euros, the company said. Continental's European carmaking customers, including Volkswagen and BMW, have been beating first-quarter sales and earnings estimates as the region's auto market revives and U.S. drivers buy higher-priced sport utility vehicles. "Unless their business with car manufacturers declines for some reason, this is going to be a good year for Continental," said Hans-Peter Wodniok, an analyst at Fairesearch in Germany. Buoyed by 6.7 billion euros of liquidity reserves, Continental also hopes to benefit from acquisitions, especially in non-automotive segments after concluding the purchase of U.S. rubber company Veyance Technologies earlier this year. Schaefer said Continental is "open to purchases," though no major deals are planned in coming months. "If we come across an attractive target, we will study it very closely," he said.